This year 757 companies, more than half of which were from 40 countries participated, a new record for AERO and a 7% increase in the 2018 figures. All major general aviation companies were present at Lake Constance. 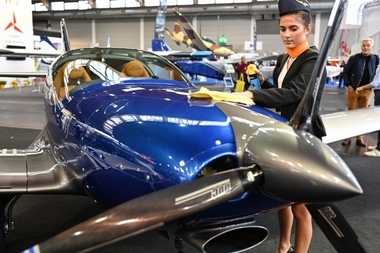 AERO is not only Europe's largest trade fair for general aviation but is also the most important trade fair in the industry worldwide with regard to innovations and premieres. 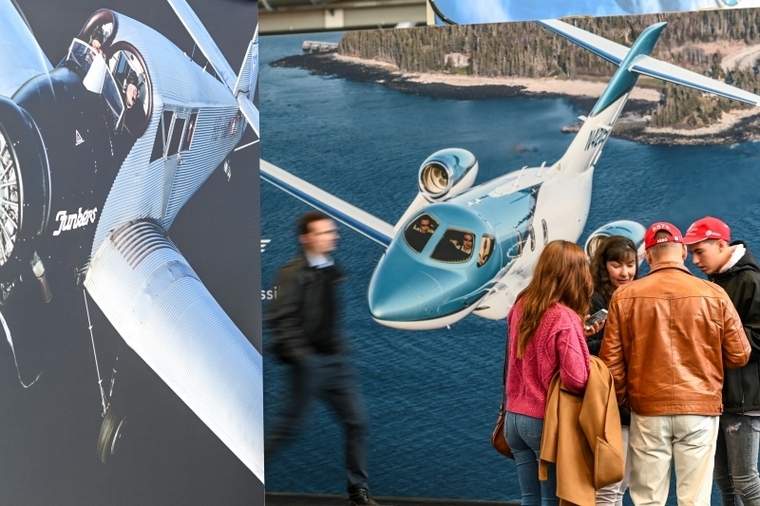 AERO Friedrichshafen is a trade fair aimed solely at the general aviation sector and aircraft on display includes all civil powered airplanes, helicopters, gliders, ultralights and light business jets that are not aimed at the scheduled or chartered flights market. 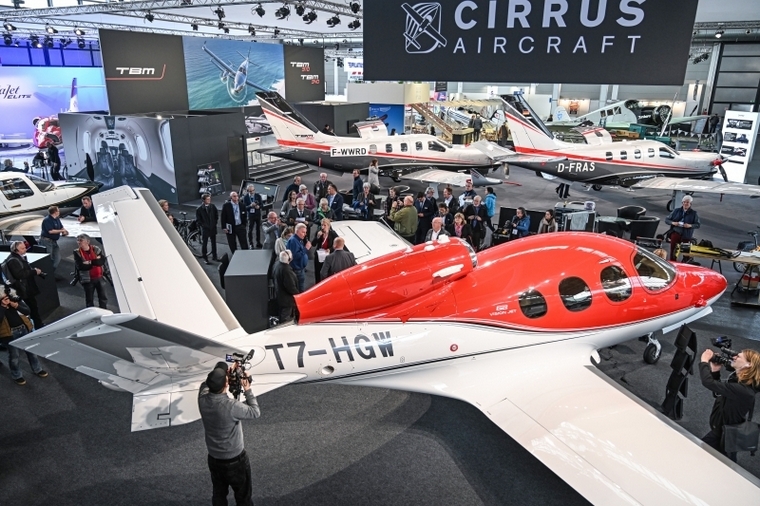 The focus this year was on the development of quiet and environmentally friendly electric aircraft and state-of-the-art electric propulsion systems. The hybrid electric drives from Siemens eAircraft presented to the media provided answers to the challenges of future aviation. The electric company's booth also featured several different prototype electric aircraft powered by the company's hybrid-electric drives. WINX Adventure Aircraft Company GmbH proudly presents the brandnew "EXPLORER600" for the European UL-600kg-market. 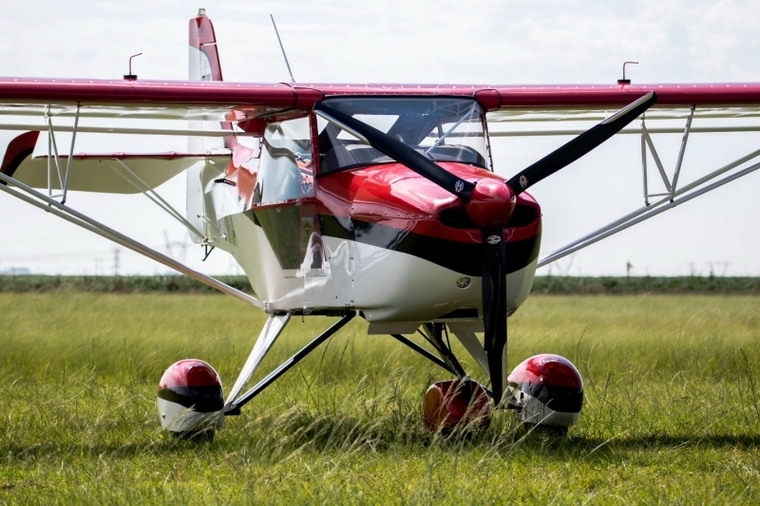 This since long time appoved model - made by Kitplanes for Africa - were modifiet for the European market and will be certified soon (expected May 2019). Testflights are now possible at any time, location EDFZ (Mainz). A completely new aircraft with an unusual appearance on the AERO is the so-called flying wing of Horten Aircraft from Eisenach. As the name implies, there is no tail and no hull, the pilot cabin is integrated into the wing. This configuration has aerodynamic advantages, requires less fuel and allows for greater range than a comparable conventional design. The two-seat hoist HX-2 is already flying. It is equipped with a 100 hp four-cylinder. The company name Horten Aircraft was chosen deliberately for in the 1930s, the Horten brothers in Germany made their concept known and popular for the first time with their flying wing gliders. A Swiss Junkers Flugzeugwerke AG from Dübendorf is currently building the second copy of the six-seater Junkers F13, the first all-metal airliner from 1919. The first new F13 in retro design is already flying. Also on display on the Junkers was a WACO YMF, a brand new biplane in the style of the 1930s. The three-seat WACO can be ordered in both VFR and IFR versions. Of course, gliders are also part of the AERO. One of the most successful models of the traditional German glider manufacturer Schempp-Hirth is the Arcus. The two-seater with a span of 20 meters is equipped with a so-called retractable engine and can thus start independently, so it does not have to be taken aloft by a tug. The drive can be either a combustion or an electric motor. In over 200 lectures and workshops, high-calibre speakers answered questions, presented new developments in the industry and discussed current topics that move General Aviation. Hall A6 was dedicated to the Avionics industry and it was a place where visitors could learn everything about flight control, management and communication systems, navigation systems, displays, weather radar and air and ground radar systems from various manufacturers. Product presentations give them the opportunity to discover the latest innovations. In addition, Avionics Avenue offers testing opportunities in workshops to learn how to use modern flight systems. As was to be expected engines and power plants were the focus of the Engine Area. From piston, diesel and electric drives to jet turbines for business and light jets - drive systems of various types and technologies were on display here. 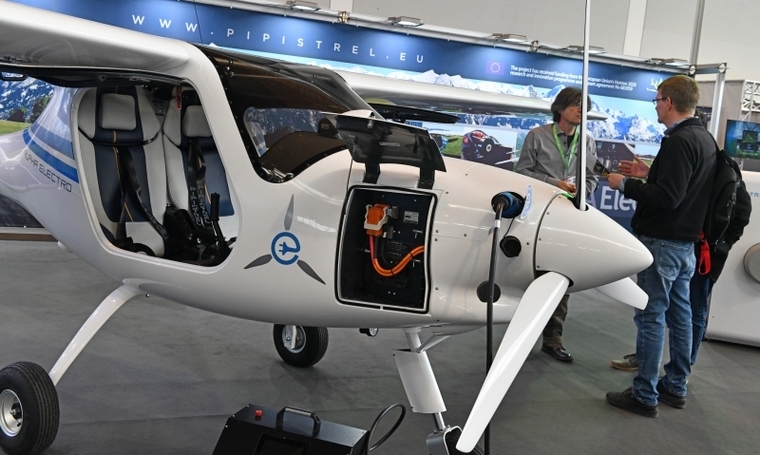 The AERODrones UAS (Unmanned Aerial Systems) EXPO provided visitors to AERO Friedrichshafen with an overview of the manufacturers of RPAS, sensor and measurement technology as well as the latest development standards of unmanned aerial systems. UAS demonstration flights took place in the ZEPPELIN CAT Hall A1. 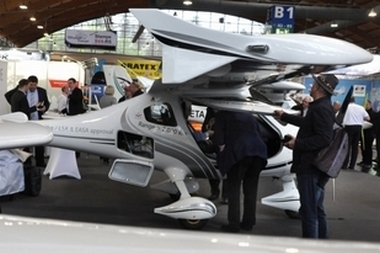 In 2019, the e-flight expo in cooperation with the Flying Pages GmbH was again an important part of AERO Friedrichshafen. In addition to the exhibition area in Hall A7, there was also a lecture program on the subject at AERO Conferences, which featured speakers and their views on the development of electric flying. Sonaca Aircraft unveiled their Sonaca 200 Trainer Pro at AERO and marked the digital shift by offering the Sonaca 200 Trainer Pro, a connected and intelligent plane. 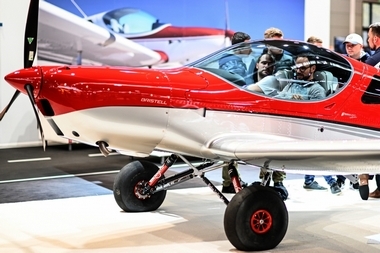 To ensure the security and longevity of its aircraft, Sonaca Aircraft has chosen to use proven technologies only from certified manufacturers: Rotax engine (Austria), Beringer brake System (France), fixed-pitch propeller by Duke Hélice propellers (France), Garmin avionics suite (US) as well as the brand new KI300 by Honeywell (US). By developing a glass cockpit version of the Sonaca 200, Sonaca Aircraft has introduced general aviation to the digital era. Carl Mengdehl, Engineering & Certification Manager at Sonaca Aircraft, stated: "The Sonaca 200 Trainer Pro seduces schools that offer CPL1 and ATPL2 training programs because the avionics are similar to that of a commercial aircraft used for ATPL training. The latest in a prestigious series of aircraft ICP's Ventura was on display at Aero. 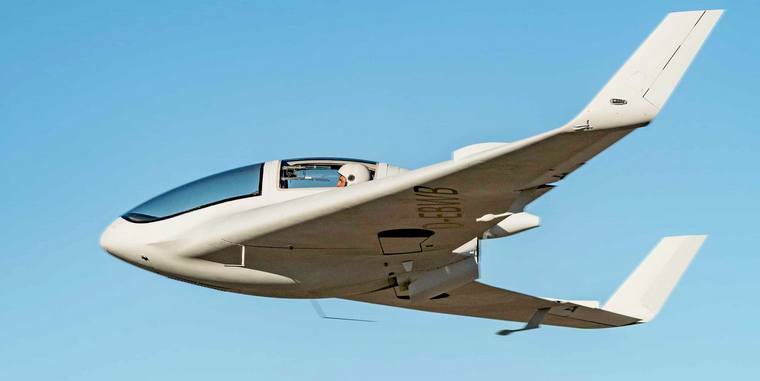 The Ventura is the result of extensive studies by the ICP R&D department, aimed at satisfying the growing market demand for a larger aircraft with more space and a larger load capacity. All metal construction and manufactured with cutting edge industrial technologies, the Ventura is a high wing plane that can accommodate engines with power ranging from 100 to 180 hp. By virtue of the new wing with Riblett GA 35-418 airfoil, Ventura can approach for landing as slow as 80 kph at maximum weight and with its high propeller clearance, can operate from semi-prepared runways shorter than 250 meters with a large margin of safety. Combining such excellent STOL characteristics with high cruising speed and brilliant manoeuvrability with brisk roll response, the aircraft offers optimal performance in any situation giving the pilot full control and a lot of fun! 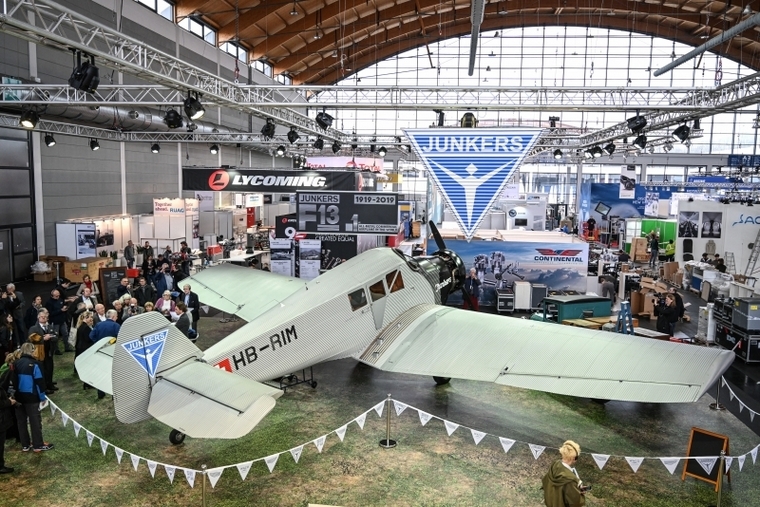 Jonker Sailplanes, together with European partners M+D Flugzeugbau exhibited the proven JS1-C and the most modern 18 m glider, the JS3. At Van's booth was the first completed RV-14A in Europe built by Stefan Schroeter. Stefan is now building his second RV-14A. He'd previously built a nice RV-7A. Stefan along with RV-7A builder Klaus-Peter Morhard who is also building his second RV-7 manned the booth and was available to answer questions. If one discounts EAA Air Venture, the annual convention of the Experimental Aircraft Association held at Witmann Airfield in Oshkosh, USA that on average host 800 plus aviation business, then AERO Friedrichshafen billed as Europe's largest trade fair for general aviation is without a doubt is also the largest aviation trade fair in the world.